I purchased the Verilux Happylight Liberty Energy Lamp a couple of years ago, but I ended up returning it. It did not seem to do anything for me. Maybe it works for other people? Itunes Gift Cards are on sale – this is a good deal if you need to purchase some premium apps or games. The Dyson V6 Full Kit is on sale – this has been on sale a couple of times this year. I picked up some 3M Scotch Tape Refills this week in anticipation for Christmas. If you get the refills – there are some packs with a bonus tape dispenser – make sure you grab it! Grimm’s Yours Naturally Turkey Pepperoni is on sale this week as well as Charmin Bathroom Tissue and Resinite Wrap (My wrap is 2 years going strong still). I bought some Nong Shim Kimchi Noodles Bowls for a easy lunch on a cold day. I like the Nature’s Bakery Fig Bars, and Hi-Chews but I still have lots from the last sale. I picked up a pair of Clarks rain boots at the Richmond Costco today. The sign said $39.99 (or something similar), but they actually rang up at $29.99. YMMV, but that’s a good deal if it works! Thank you. a lot of shipping to do this week. Proof that Costco isn’t always the cheapest. Their 120 count mini chocolate bars are in sale at the price everyone else is selling them for. I just bought 2 boxes at $12.97 each. Take your time and compare to really save money. On another note, thanks again for posting these and helping us plan. The reason I buy them from costco is I can return any that are not given out on Halloween. Agree that costco isn’t always the cheapest which is why i come here before i go there. Where did you find 120 ct mini chocolate bars at 12.97? Haven’t seen them that decent a price anywhere. Thanks for all the hard work and time you put into each week ‘s issue!! thanks . Although it’s not on sale, the refrigerated fresh macarons were amazing. $19.99 for 35 pieces. The Burnaby location by Brentwood station had 2pack. Contigo mugs on sale (-$5 I think). It was around 17.99 for the two pack of 15oz travel mugs. Anybody know when the huggies wipes should be on sale again? And thanks again for the awesome blog! Did rain boots ever come in (besides Clarks in Richmond)? When are the baby wipes going on sale?! Glad I grabbed 2 cases last time, we are on our last bag :'( the Mr. thought I was crazy! Thank you so much for your time to make this happen. Never head to Costco until I’ve received, and read, this email.! Thank you so very much. The iTunes card deal alone makes the trip worth it. Once again, super helpful. Thank you for all your work. This saves me so much time. does anyone know the dimensions of the pie dishes? Thanks for taking the time to help us save money? Thanks so much for the info as I make my shopping list now from here. I wrote down Feta but I do see also that it has a price tag on it that is another item. Will check when I go there later this week. Thanks for the post. Are the Hi-Chews made in Japan? The bag in the picture says made in USA. And let’s not forget the inhumane treatment of turkeys in processing plants in Canada! Most of these “low” priced SAD lamps don’t do much for most people. The required UV spectrum is missing and that’s why you didn’t notice any benefit. Looks like there’s not much happening this week at Costco and as usual, no deals. The handsoap can often be bought cheaper when on sale at Real Canadian Superstore. Chocolate (junk food) is typically pricy as well. Your weekly blog saved us a trip. However, just an FYI. There were lots of deals last week at the Bellingham Costco (as usual) but with the declining Loonie it’s not worth the price buying there. Then again, most Canadians fool themselves into thinking they’re paying less than they really are, lol. So glad you do this. I had a short shopping list until I read here. I avoid running around the store sonwould have missed some of these. Has anyone seen the Starbucks Advent calendars? They had them this time last year. Thanks! Neat website. Will check back. On items that don’t have a visual markdown or a price until date, such as the bowls, how do you know it’s a lower than normal price? Hi Adam, Thanks for visiting my site! Clearance items are indicated by a *.97 price ending. Once in a while, I’ll post something that is regular price if I think it might interest other people. Thank you for maintaining this website- really appreciate you putting your time into this. 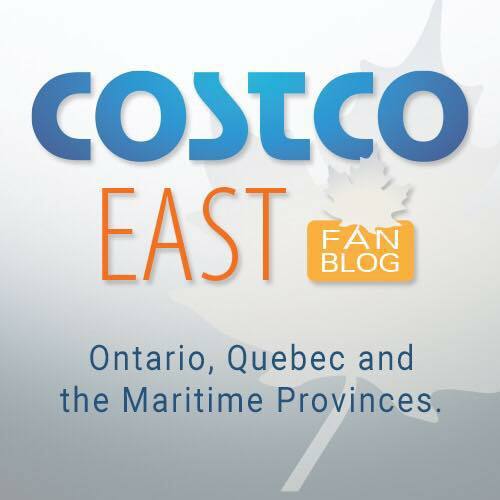 Everyone says thanks for helping us save money… Which may be the case but not for me i swear my costco food shop has trippled since i joined this blog as we are 3 hours away we load up lol costco should be paying you!! Really wanted the wine barrel fire table, but none at my Costco.